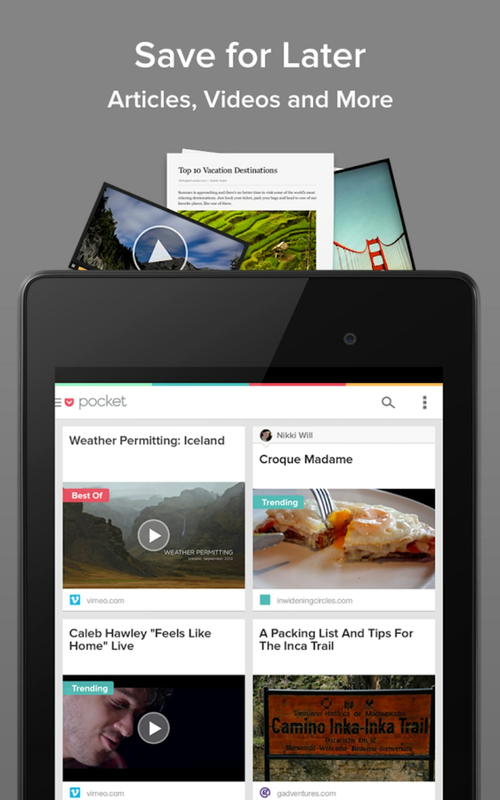 Pocket (formerly Read It Later) was one of the early offline reading apps. 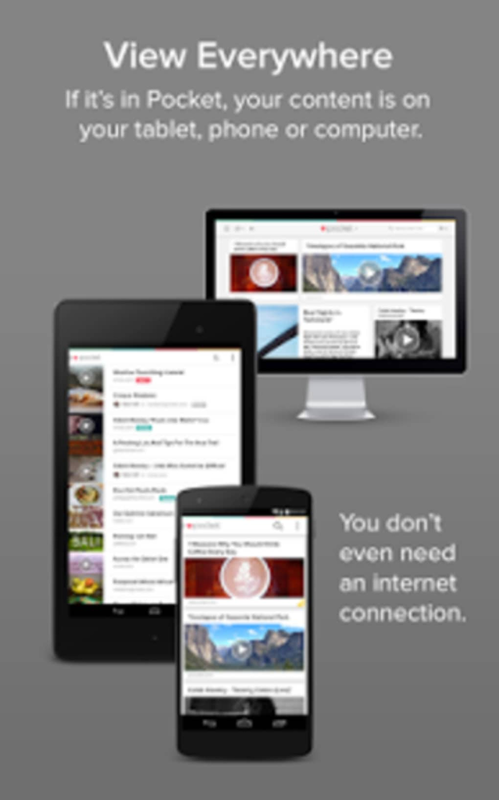 You could save a text version of the page you were reading to read offline later. 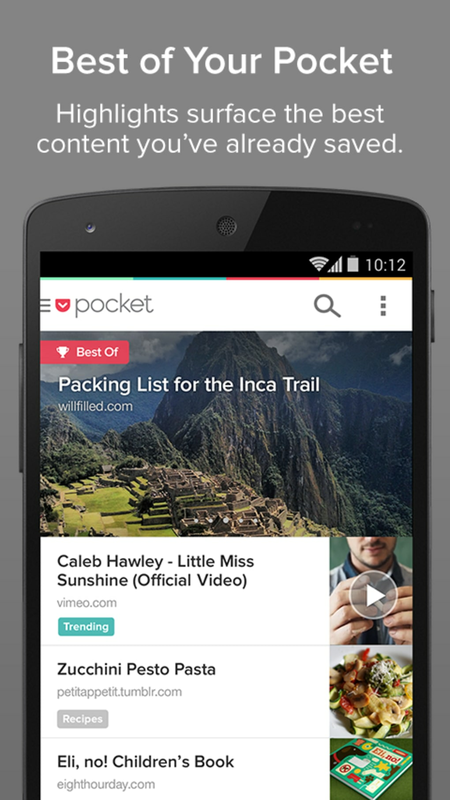 Read It Later is now Pocket, offering the service for free. 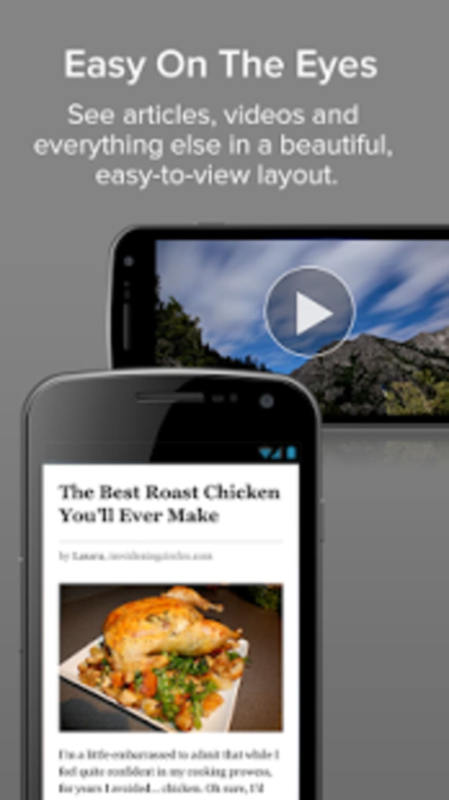 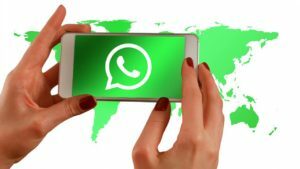 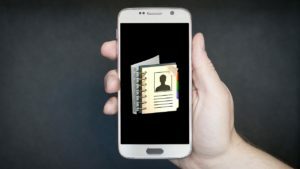 The app is a great way to download long articles that you can read later. For commuters, Pocket is an excellent app to use when you are stuck in non-service areas. 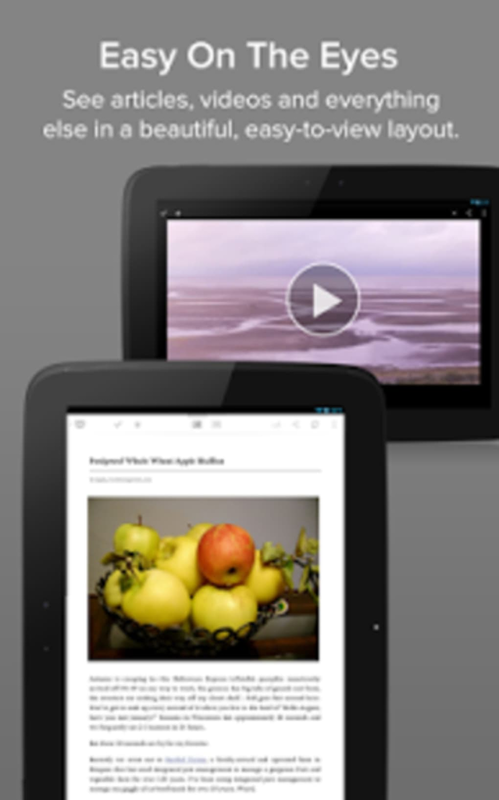 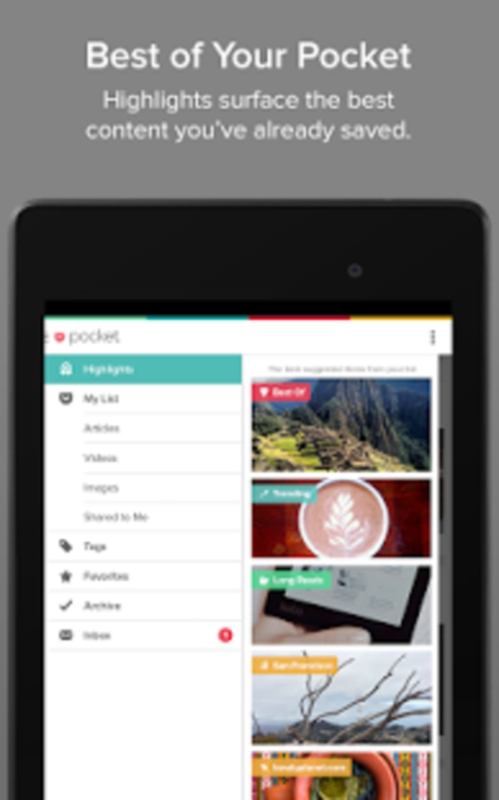 Pocket offers two views, one that is text and image only and a second that is a saved version of the original website source. For longer articles, the text and image only view is a great way to not get distracted by tons of media. Depending on what device is being used, Pocket will scale the content intelligently, so portrait and landscape views are supported. 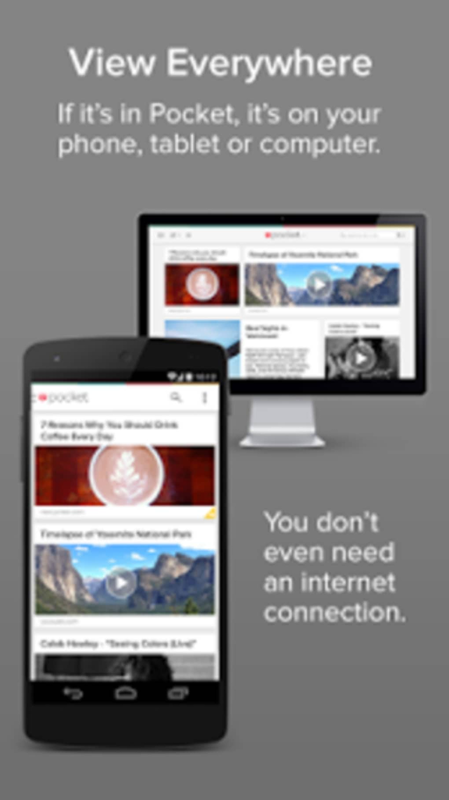 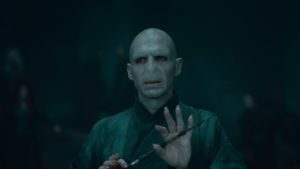 On bigger screens the content is displayed better. 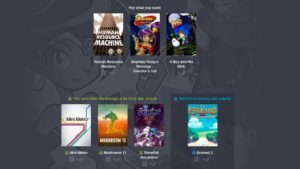 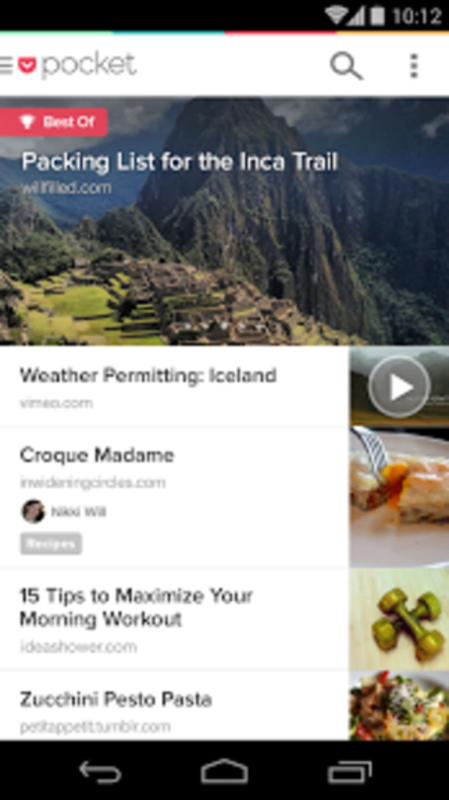 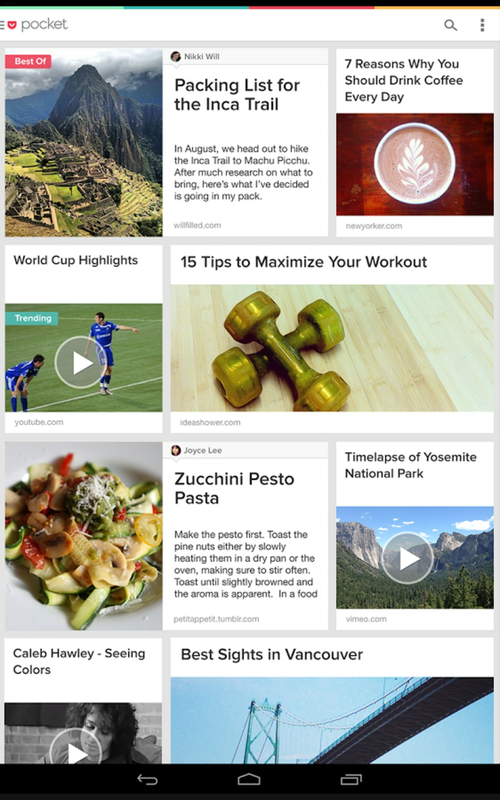 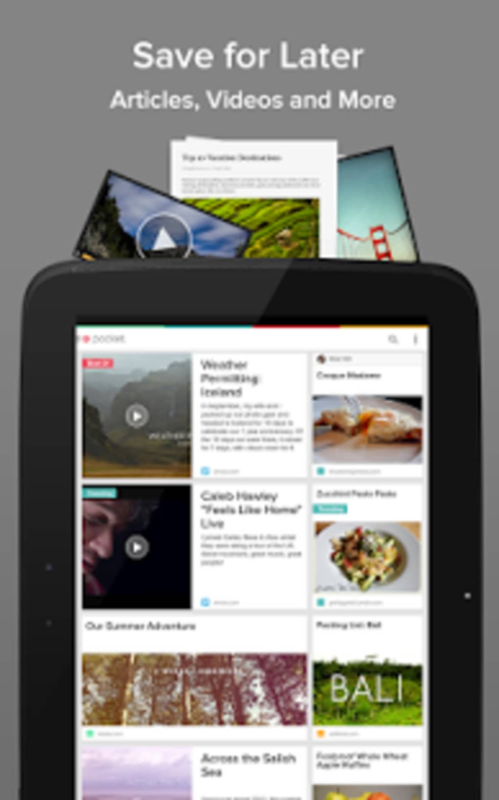 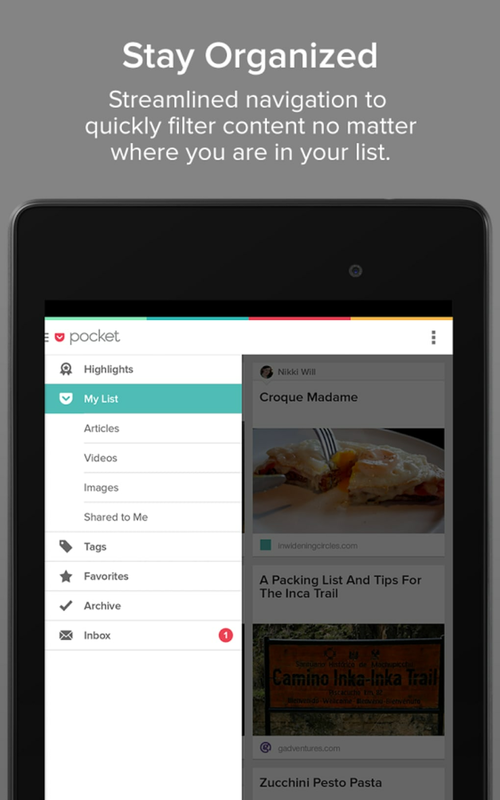 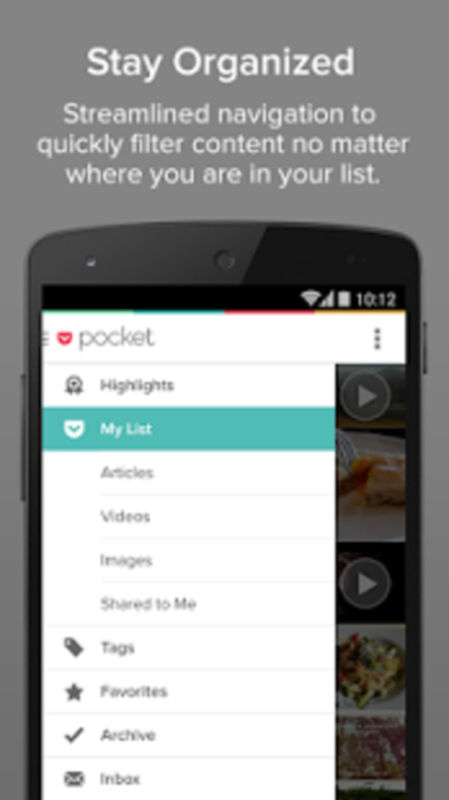 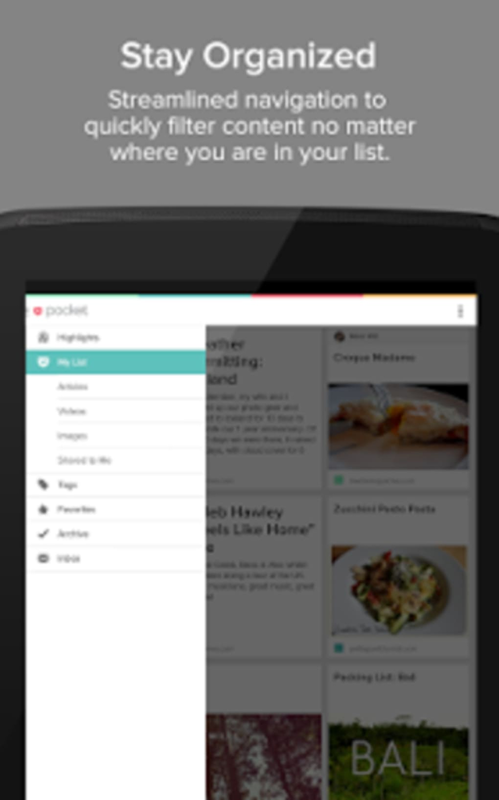 Supporting a grid or list system, Pocket makes it easy to organize and browse your saved content. 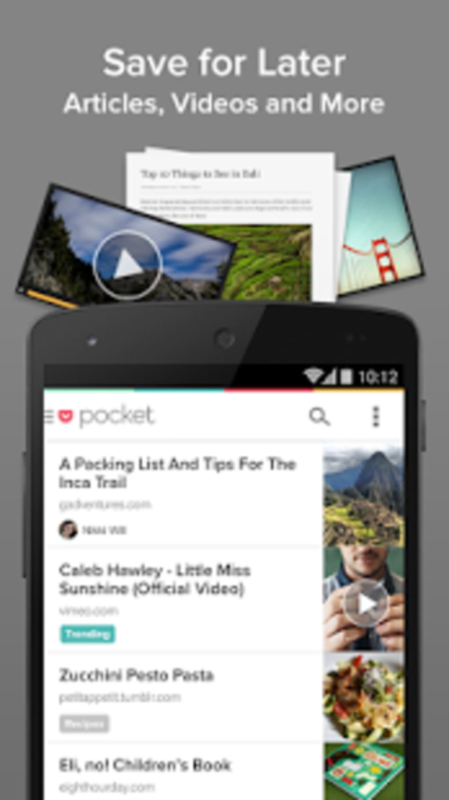 The only problem with Pocket is that the initial setup is confusing. 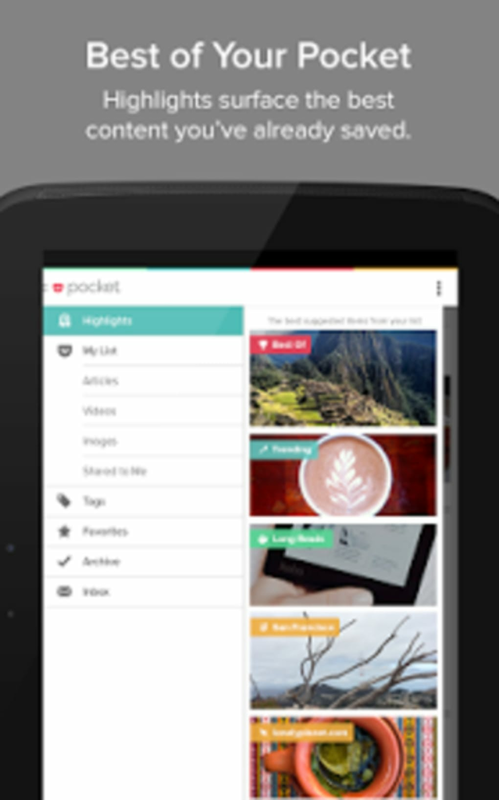 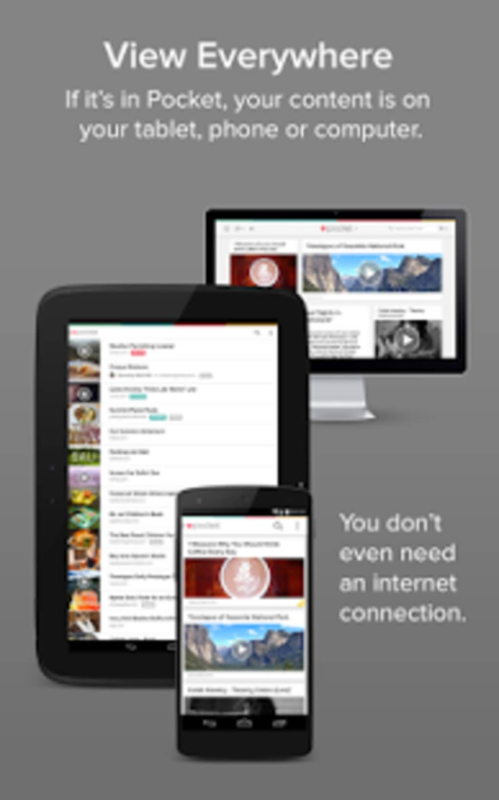 While Pocket can connect to different social networks and web browsers, it requires plug-ins or changing bookmark settings for each browser. 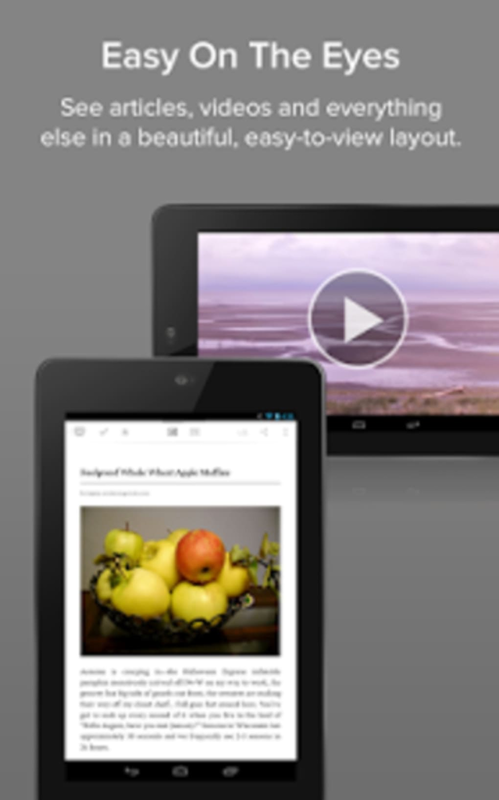 If you use defaults for everything, then you should not have a problem, but it can get confusing. 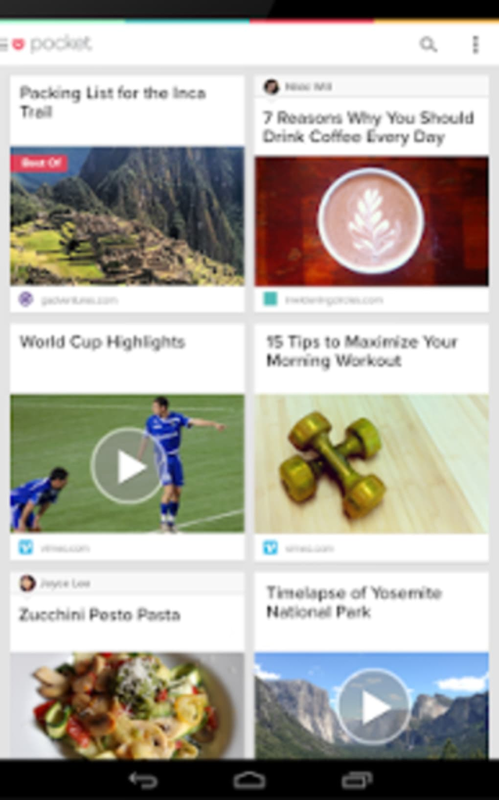 Pocket is a great free tool to save favorite articles without having to access them online.